Building stronger minds and bodies, by providing instruction in muscle coordination and balance, agility and speed, nutrition and healthy living, fundamental sports mechanics, and skills play. 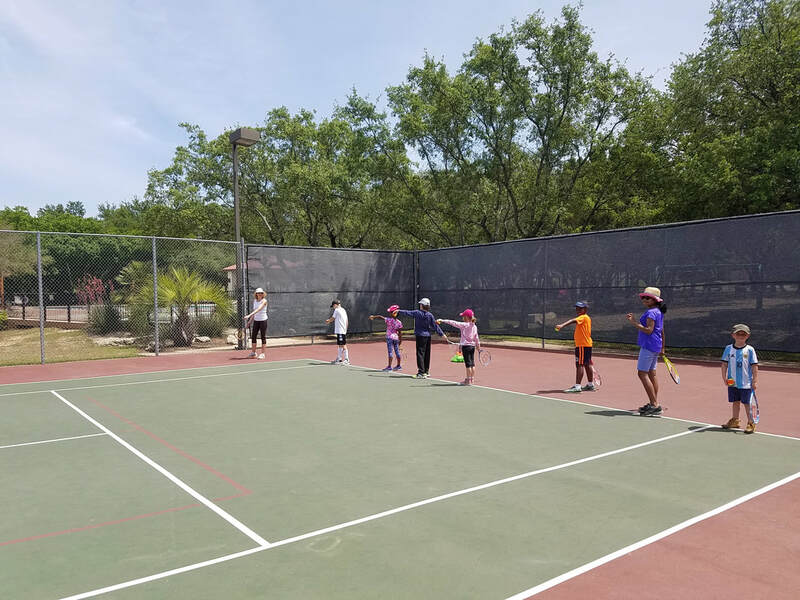 All children provided with weekly instruction to promote balance, muscle coordination, speed and agility, and positive attitude to exercising. Structured programs in Track-and-Field, Soccer, Tennis, Basketball, and Volleyball. Develop core fundamental skills that can be easily built on. Separate fees for some sports clinics and camps. Curriculum-based instruction covering a wide range of topics in health and nutrition, etc. Five-time Olympian, Sandie Richards, is the co-Director of Sports and Phys. Ed. for the Academy. Ms. Richards is a former Jamaican track athlete, who has had a 20 year professional track career during which she collected a series of World Championship and Olympic medals. She also competed for the University of Texas, where she was a multiple NCAA Champion and All American. Ms. Richards is a certified personal trainer, who specializes in sports mechanics and speed training, and instructs her clients in diet and healthy living. The Academy is thrilled to have Ms. Richards as our co-Director of Sports. Congrats to Etienne, who is playing well in his first Spring soccer season. Congratulations to Naome and Etienne who each played great during the Winter 2019 basketball season! - Go Thunders!!! Our students are very happy with the school's newest sports/PE activity, CAÑO Cage Challenges. The students truly enjoy battling in the CAÑO Cage, which was purchased by the Academy last Fall. We have used the Cage both during during PE and at other times during lunch or break time. The Cage is relatively easy to set-up and break down, requiring only 1 adult, and a relatively small open space. This was a perfect addition to our school, which offers a sports-based PE program, aimed at developing skills and fostering individual growth and competitive spirit in several sports, including soccer. The battles are enjoyed by both our academy level soccer players as well as all of the other students who do not play soccer. The cage engages our soccer players and causes them to focus on skill development, while having maximum fun playing soccer. Each player has to learn to maneuver within a small space, with a defender always close by. The Cage enhances both offensive play and defensive aggression in our soccer players. ​ ​Our kids absolutely LUV IT!